1. Hockey Canada/Branch sanctioned events (league games, tournaments, practices, training camps, sanctioned fundraisers) when playing member teams only! 2. Transportation directly to and from the arena or venue. 3. 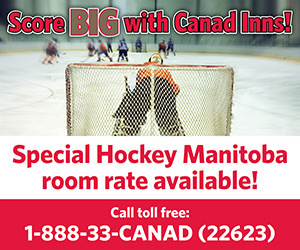 Accommodations while billeted or at a hotel during a Hockey Canada/Branch sanctioned hockey activity. This insurance augments Provincial, Medical and Hospital plans. It covers players, coaches, referees and other designated volunteers against accidents that occur during participation in a Hockey Canada/Branch sanctioned activity. This plan is designed to provide coverage for those who might otherwise not be covered by any other group health insurance plan. It can also serve as a supplement to other similar coverage an individual or family may hold, to achieve maximum allowable coverage. It is not applicable as an addition when another plan’s coverage meets or exceeds the allowable amount. If you have primary insurance you must make a claim to them first. If you have maximized those benefits you need to send in documentation to Hockey Manitoba to verify this. 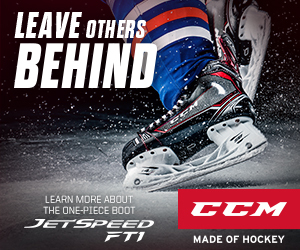 You can then claim any additional expenses through Hockey Canada. FURTHER INFORMATION ON COVERAGE, POLICY LIMITS AND ADDITIONAL FEATURES OF THE INSURANCE PROGRAM CAN BE FOUND IN THE “SAFETY REQUIRES TEAMWORK & SAFETY FOR ALL”. 1. SECURE a Hockey Canada Injury Report Form from your team or Minor Hockey Association. 2. COMPLETE THE FORM IN ITS ENTIRITY. Have your team official complete the team section and your Doctor/Dentist complete the back of the form. If any portion of the front page is not completed the form will be returned to you and the claim process will be delayed. If a Doctor or Dentist has not filled out the second page you will not receive any reimbursement. 3. SUBMIT the fully completed form to the Hockey Manitoba office (along with any receipts or invoices you have accumulated at this point) within 90 days of the date of injury. If forms are incomplete they will be returned. Only completed Injury Report Forms received in the Hockey Manitoba office within 90 days of the date of injury will be accepted. Additional invoices and receipts may be added to the claim for up to 365 days. If you do not submit any receipts/invoices your claim will not receive a response. It will remain open for up to 365 days. It is up to you to submit appropriate paperwork to receive reimbursement. Forms must be completed in their entirety or the forms will be returned. Claims are verified in the Hockey Manitoba office and then sent on to Hockey Canada for processing. This is a lengthly process and can take up to 8-12 weeks or more. Hockey Manitoba recommends that if your claim includes an ambulance bill it be paid and the injured party seek personal reimbusement from Hockey Canada. The claims take a considerable amount of time to process and Hockey Canada is not responsible for any late fees. Only original receipts and/or invoices are acceptable (If originals have been forwarded to a primary insurer, copies are acceptable). Do not fax in your claim. Hockey Canada is strictly a supplemental insurer. If you have access to any other insurance, you must pursue your claim through them first. Hockey Canada shall cover those costs not covered by your primary insurance to our policy limits. Hockey Canada will not respond to any dental pre-authorizations. If the injured person is a member and injured themselves in a sacntioned activity they will qualify for the insurance benefits as outlined above. The limit for a dental injury is $1,250 per tooth to a maximum of $2,500. Injuries as a result of a swimming accident (ie: off-ice training and/or during hotel stays) will not be covered. For all teams travelling to the USA for sanctioned tournaments/games: All players MUST have some form of primary insurance to be eligible for Hockey Canada’s supplemental insurance. To all teams acquiring players from the USA: all USA players MUST have primary insurance coverage to be eligible for Hockey Canada’s supplemental insurance.